If you watched American Ninja Warrior this past year, you know exactly who #MightyMeagan, or Meagan Martin, is—an incredible all-around athlete who became only the third woman to complete the American Ninja Warrior qualifying course. 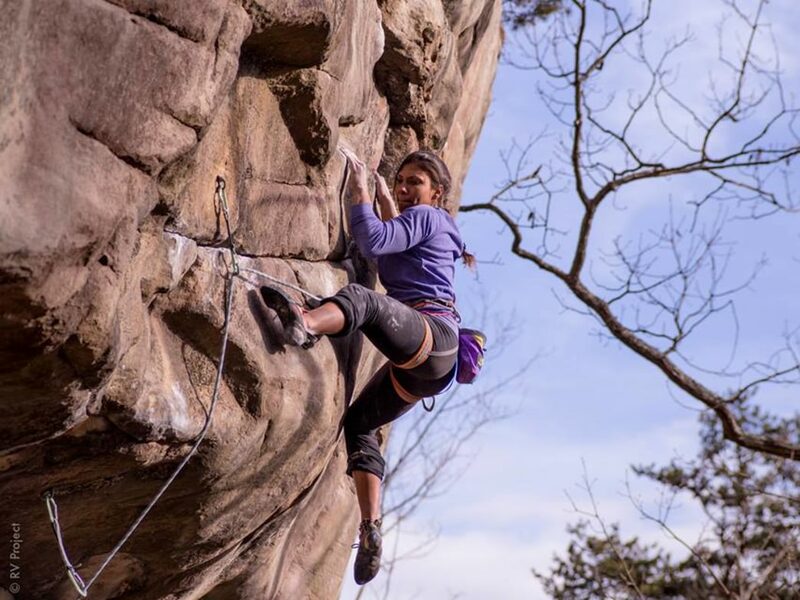 Growing up in Florida, the 24-year-old Meagan started competing in climbing competitions at the age of 12 and found that she was quite good at it. I met her at the local climbing gym in Longwood, Fla., about eight years ago. I was in awe of her strength and even more so her humility. Meagan, who now splits her time between Florida and Boulder, Colo., is quite the accomplished professional athlete and also holds a bachelors degree from Vanderbilt University. We sat down with her to discuss her time on American Ninja Warrior as well as what makes her tick as a climber. How did you get to where you are today as an athlete? I was raised in a family of athletes, so I knew from a young age that being an athlete was going to be a large part of my life. I didn’t foresee being a professional rock climber at 25, but I figured my athletic career would at least last through college. I am so lucky to be in the position that I am in, where I have the opportunity to do the sport I love everyday and make a career out of it. It was during my senior year of college that I realized I wanted to climb again and make climbing my profession. It was always funny when my friends’ parents would ask me what my post-college plans were, with my response being I am planning on becoming a professional climber. In hindsight the idea seems a lot more daunting than the process was. In my head I figured since I did professional comps at the age of 12 and 13, and did well in them, it wouldn’t be that hard to start competing again. I am glad I had that attitude going into my first pro comp in September of 2012 after my hiatus from climbing. I think the three months of training beforehand along with my positive attitude, are what got me to a 5th place finish. Placing 5th at that competition was really important for me, because it was the proof that I could actually do what I set out to do. Since that day, I have been back in climbing 100 percent and I wouldn’t have it any other way. Tell us a little bit more about your experience on American Ninja Warrior. 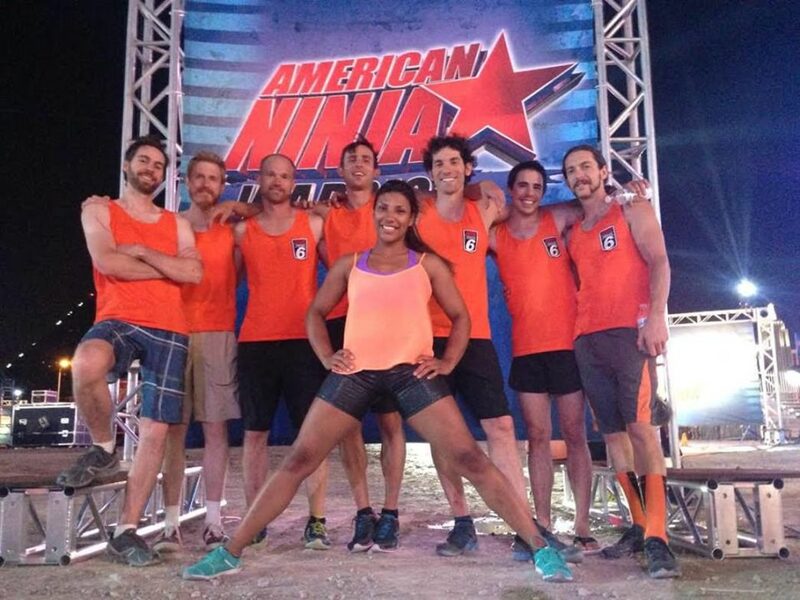 I couldn’t have asked for a better first-year experience on American Ninja Warrior. I went into it with the hope of doing well, but I didn’t realize I would be breaking so many barriers at the same time. Since I had only seen the Japanese version of the show prior to going on it, I didn’t know that doing something like completing the qualifying round as a rookie would be as big of a deal as it was. I was just excited to get the chance to try every obstacle; I had no idea that in doing that I would get to break records as well. I had a great time throughout the whole experience; I think it would have been hard not to have fun, since it combines so many things athletically that I love to do. What advice do you have for climbers—or anyone—seeking more adventure? Both practically and generally. How can people expand their horizons, even in the face of fear? If adventure is what you seek, I think that you just need to go for it! Life is short, so it is important to do the things that you want to do. You can do whatever you put your mind to so don’t limit yourself. I think that expanding one’s horizons is great for personal growth. The process can seem a bit daunting, but it is good to have some fear when you are exploring new things. When I am thinking of doing something new or stepping out of my comfort zone a little bit, I try to not overthink the situation and know that in the end everything will work itself out. What advice do you have for aspiring climbers from the flatlands of Florida? Florida obviously isn't the most ideal place to live for climbers due to it being so flat, but despite the geographical limitations Florida has produced a lot of amazing climbers. I think that climbers from Florida have to work a little harder to get outside than most climbers throughout the country, but I think that a little extra work can be a good thing. When you don’t have the option of climbing outside all of the time, you really appreciate the times you do get to be climbing outside. I think as a climber in Florida if you can go on three to four trips a year it will help keep you sane enough to continue training inside the rest of the year. 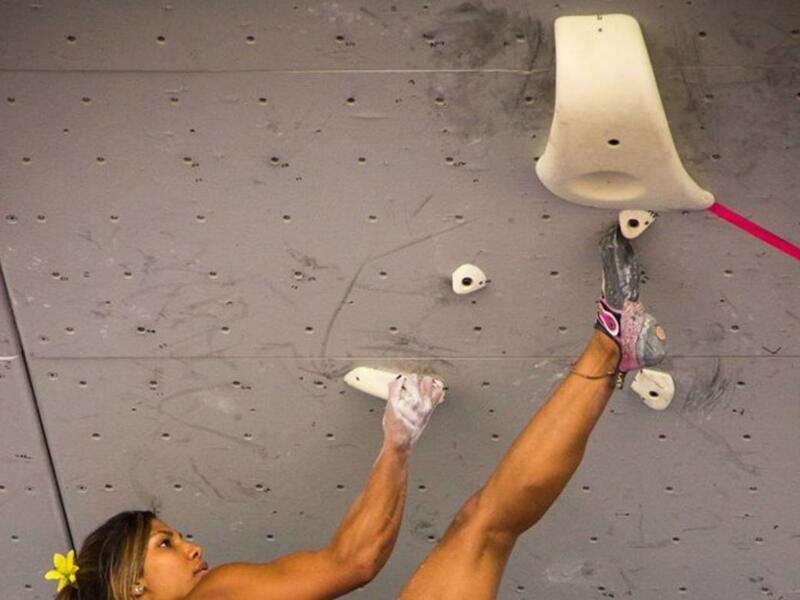 What are some of your favorite spots to climb or comps to compete in? 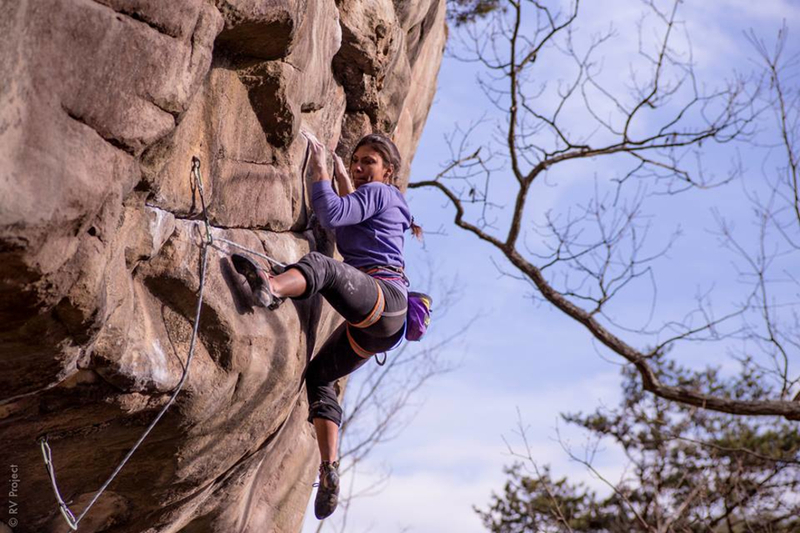 I love climbing in the South, Chattanooga especially! I think since that is the area where I first climbed outside, it holds a special place in my heart. I am also just a big fan of sandstone, and the southern sandstone is some of the best in the country. I have a few favorite comps that I compete in yearly. I really love the Psicocomp! It is one of the coolest competitions I have ever done. I personally love jumping/falling into water, so no matter what I always have a blast at that comp. Another comp series that I really enjoy is the Dark Horse. I started going back in 2012, and it has become a yearly thing for me. I think that working with kids and setting a good example for them is one of the most rewarding things I get to do. It is so cool to have kids find a passion for this sport at such a young age like I did. There were a lot of people that I looked up to as a kid, and I am glad that I have the opportunity to be that person for kids today.